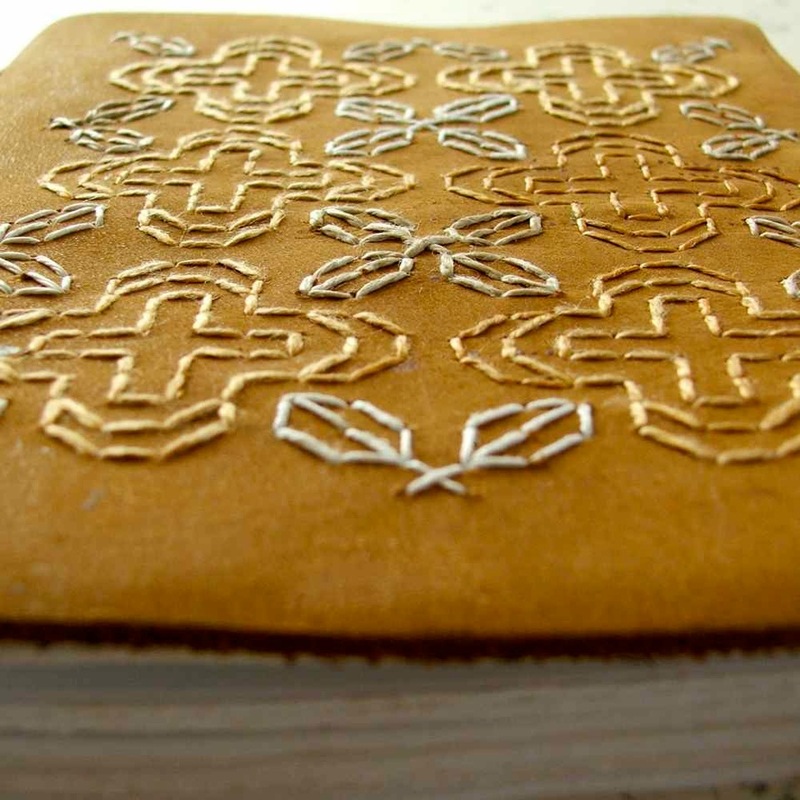 I made a journal yesterday that totally indulged and satisfied my obsessive compulsive idiosyncrasies…using a blackwork pattern drawn onto grid paper to prick holes into the leather journal cover before sewing. It’s a simple limp binding, but preparing and working the cover took up most of the day. 120 leaves (240 pages) of heavy (120gsm.) white Tintoretto paper, with a slight felt texture. Acid- and ECF-free. Journal measures 5 1/4″ x 7 1/2″ x 1 3/4″ (135mm x 190mm x 45mm), and the adhesive-free limp binding is designed to accommodate a slight adding-on to the pages such as photos, collaged papers, glued-in ephemera. 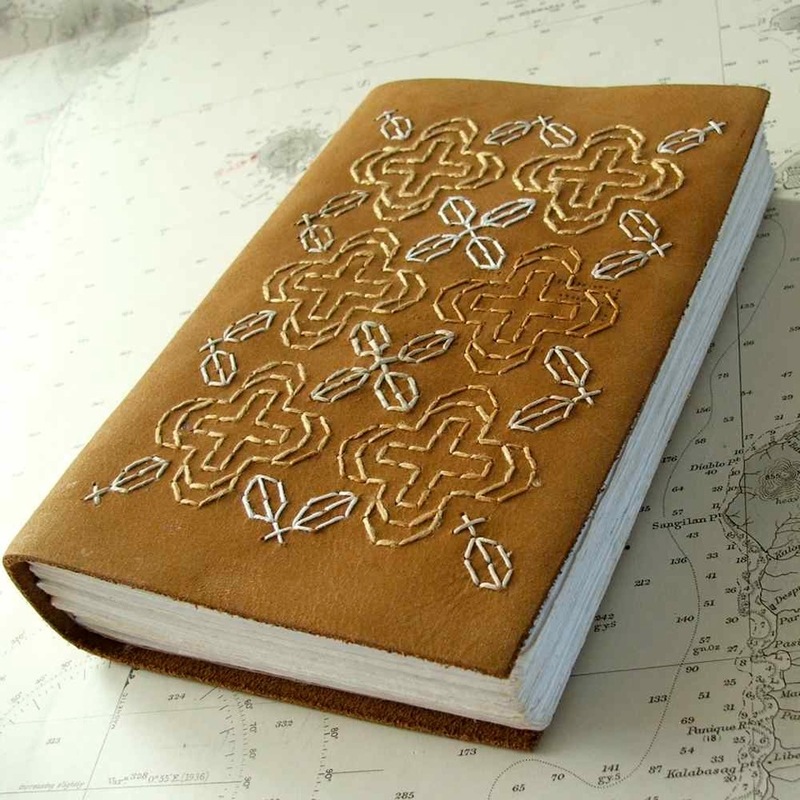 This journal, Caramel (no. 906), is in my Madeit and ETSY shops today. That’s really gorgeous! And so much work. 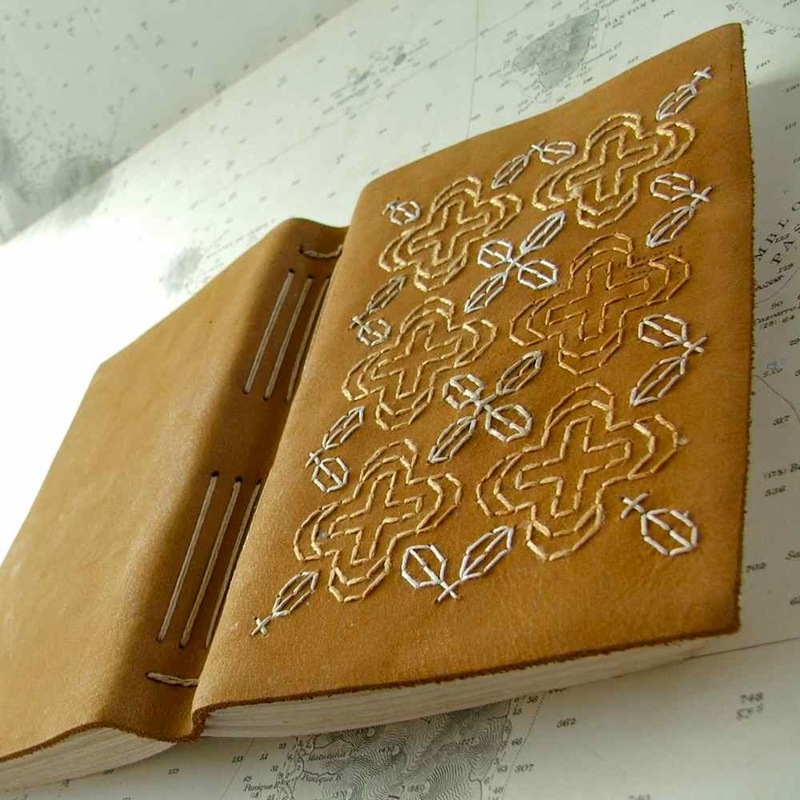 I’m just learning bookbinding and it is relaxing. Thank you, JT. 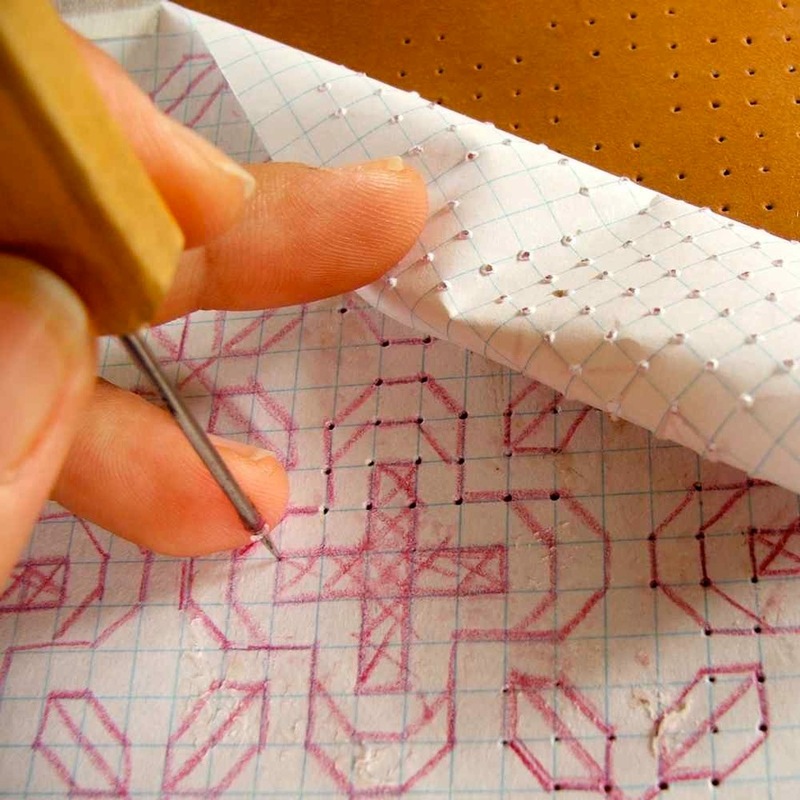 And best of luck with the bookbinding…it’s a pretty special craft. Looks like you gave it your awl…. Sorry, couldn’t resist. BEAUTIFUL work. I know what you mean about breaking rules and doing it YOUR way! *groannnnn* LOL…thank you! Hurrah for radical orneriness!